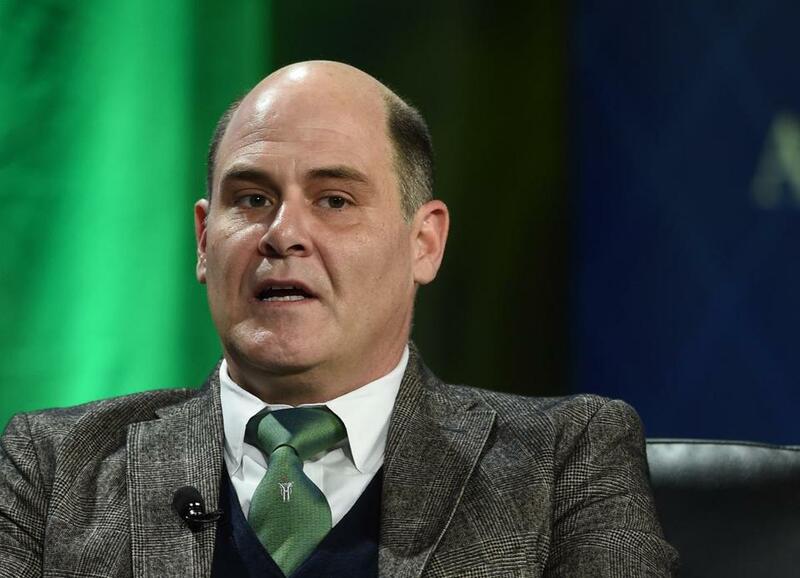 "Mad Men" creator Matthew Weiner at an event in Las Vegas in September. The event with Harvard Book Store went on as scheduled — even though Weiner has been accused by a former “Mad Men” writer of sexual harassment in a story published Thursday on the website The Information. In the report, former “Mad Men” writer Kater Gordon says Weiner told her — during her time working on the show — that she owed it to him to let him see her naked. Weiner has denied the allegation. According to a rep with Friday’s local event, one woman in the audience asked about the loss of mentorship opportunities in the current climate. Weiner used the question to deny Gordon’s story. The audience member then clarified that she wasn’t asking about the allegation specifically, the event rep said. Weiner was supposed to introduce a movie screening after his book event, but Brattle creative director Ned Hinkle said Weiner did not go ahead with that part of the program. The film — chosen by Weiner — was “The Earrings of Madame de . . . ”. Meredith Goldstein can be reached at meredith.goldstein@globe.com. Follow her on Twitter @meredithgolste.